In our quest to turn back time - or at least to keep it at bay - an increasing range of anti-ageing products are coming on the market all the time. The popularity of the celebrity and high-quality brands has led to an increase in the number of counterfeit beauty products being sold worldwide. Whilst you may think that the only people being hurt by you buying the counterfeit products are the people with shares in the original brands, think again. Skincare products aren't like knock-off handbags can be are virtually identical to the brand they're imitating. Whilst the packaging is produced to look the same, the products themselves are not made from the same ingredients which can have serious safety implications. In fact, with the illegal market being unregulated, many counterfeit products have been found to contain harmful chemicals and people have suffered injuries as a result. How harmful can fake beauty products be? A worrying ITV investigation that was broadcast recently found that online retailers and hundreds of market stalls were selling counterfeit beauty products, some of which contain dangerous chemicals such as lead, mercury, cyanide, arsenic, paint stripper and even faeces. There has been a consequent rise in the number of injuries caused by fake cosmetics and skincare products, ranging from chemical burns, swelling, rashes and allergies. In the long term, these products could cause problems with your hormone balance, menstrual cycle, nervous system and even brain function. In America, the problem has been exacerbated by the discovery that fake beauty products are being sold through both Amazon and the retail giant Walmart - if you can't trust the largest retailers in the world, who can you trust? How can you make sure you're buying safe products? To make sure you're buying safe cosmetics and skincare products, always buy from reputable sources that you know will be selling you the original products. If what you're looking at seems very cheap or too good to be true, the chances are high that it's a knock-off, so avoid it. At the Clinic, we do extensive research into the products we stock and only source them from reputable suppliers and manufacturers. We also produce our own Skin to Love brand, so we have complete quality control. And as we know exactly what the ingredients are of all the products we sell, if you have allergies or find that certain ingredients cause irritation, we will advise you to avoid that product - your safety comes first. 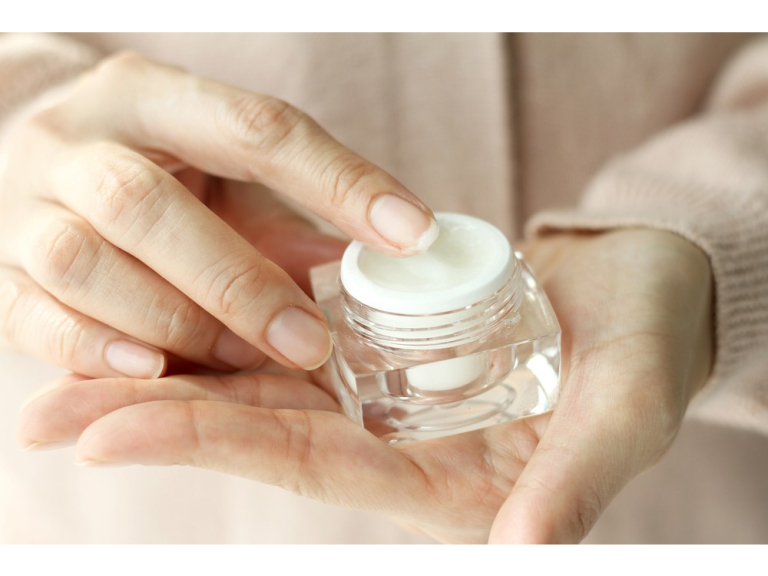 Occasionally, when we've advised people on the right products for their skin, they've subsequently ordered what they think is the same thing online at a massively reduced cost, but which then turns out to be counterfeit. They then have a reaction to an unknown ingredient in the illegal product and end up back in the Clinic asking us for help. In these cases, the mantra 'if it seems too good to be true, it probably is' definitely applies. By buying your skin care products in the Clinic, you can rest assured that you're not only getting advice from highly trained professionals, you're also getting safe, high-quality goods that are the real deal and not counterfeit products with unknown ingredients.